Too often, people form expectations on a given project, a new prospect, etc. However, they don’t always succeed in reality; thus, one is forced to cope with it, trying to approximate the life to what is desired. Throughout life’s various stages, everyone experiences their respective share of ups and downs, especially during their formative years (in which personal changes, both mental and physical, are also added to the mix). In my personal case, I have found that the beginning of my business management studies was quite challenging. Things were not entirely the same with what I expected, but I struggled to derive benefits from everything and get the bad out of the way. I am aware now that things will not always be easy, and I am as confident as ever that I will be able to learn about the good and the bad, and doing so, I will become a great manager. Throughout this course, I and my expectations and ideas about management have changed. In today’s world, there are many discussions about the traits and characteristics of an effective leader. For example, today much is being discussed about the theory of Emotional Intelligence (EI), which basically has to do with a person’s ability to identify, control, and evaluate his/her own feelings, as well as those around him/her. In the field of management, for example, EI has taken renewed importance; “management skills teachers and proponents of emotional intelligence address the need for personal interpersonal skills to help one to succeed in work and in life” (Campbell, Callister, & Wallace, 2003, p. 4). Effective leaders are not only intelligent in dealing with finance, marketing, and overall operations. Effective leaders are also overly intelligent, when they deal with people understanding and interacting. 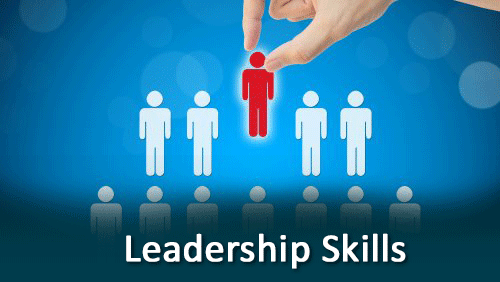 Throughout the course, I have been working on those skills, which are most lacking among today’s management graduates. In identifying and monitoring the evolution of these skills’ development, I have used a Skills Tracker that contains ten very specific skills: commercial awareness, communication skills, leadership, and teamwork, problem solving capacity, conceptual ability, subject knowledge/competence, foreign language, numeracy, and good general education. Over the past several weeks, my Skills Tracker has been updated with the improvement evidence that I have managed to achieve the aforementioned skills. Having completed my Skills Tracker, I would like to proceed in reviewing it, analysing it, and reflecting upon it. Out of the ten specific skills that were initially included in my Skills Tracker, only seven could be explicitly tracked, due to the fact that there was tangible evidence to support the rating assessment that was made. In addition to this, the Skills Manager was only used to assess seven skills: commercial awareness, communication skills, teamwork, and problem solving capacity, leadership, numeracy, and good general education. The skills that I worked over included the three that, to my mind, are the most important for an integral manager possession: communication skills, leadership, and teamwork. Today, “it is known that motivation, communication, and team building skills, such as planning, are interrelated and complementary; that is why leadership needs to be developed in these areas” (Khan & Ahmad, 2012, p. 291). Management may be broadly defined as a process through which an individual is able to deal with things and people, monitor, and control them. For this reason, it is important to lead and also motivate; in order to monitor and control, it is important to effectively communicate with others, be it one-on-one or in a group dynamic. When I started to work on my Skills Tracker, I was very much interested in having the highest assessment scores on the three skills, which, I thought and still think, are the most important: communication skills, leadership, and teamwork. Certainly, this was merely an expectation, but even if it does not justify my hopes I will be happy if I manage to register high assessment values to the majority or even each of the skills. I recognize that this might be an ambitious or an overly optimistic expectation, but I was keeping it in my mind through the whole process because ever since I can remember I have dreamt of becoming a top-level manager in a major company, hopefully a company of mine. This fact combined with the opinion that “senior officials, especially those at executive levels of the hierarchy, are all aware of their need for a combination of management skills, namely people managing and task, self and career development” (Analoui, 1995, p. 65), made me realize that being an integral, successful leader required more than intelligence and ambition. First of all, reflecting on my commercial awareness, I must say that to my great surprise, I found that I was mostly commercially aware. For example, during the January, I found that Amazon offered massive discount deals on electronics equipment. I purchased a 40-inch Sony HD LED TV with a 15% discount. Apart from this, I was unable to recognize any other significant offers. These are commercial opportunities, for which I am always on the lookout, but, for some reason, I have never been aware of this fact. Throughout this exercise, however, I recognized and, fortunately, must add that I have a good eye for recognizing commercial opportunities, and when it comes to saving money, I am most efficient as well. For instance, I love travelling, and so, I have already purchased tickets for flying back home and visiting my parents during this summer break. Moreover, I always try to buy the largest sized packages, when I do my grocery shopping, especially when non-perishable foods are concerned, because in the long run this saves money. Besides, I prefer walking or taking the bus or the tube wherever I travel, since taxis are much more expensive. As far as my communication skills are concerned, I found that they were not as well developed as I had initially hoped, especially in written communications. In fact, upon my reflection I must confess that I have been working very hard on my written composition skills. In fact, last month I joined a creative writing group. Its members get together once a week at different places (restaurants, cafés, etc.) and exchange writing for feedback (including grammar, sentence structure, etc.). This shortcoming, or weakness, however, is compensated by my ability to use visual aids in communicating thoughts, ideas, and even sentiments. As well, I have worked very hard in terms of improving my information gathering methods, turning now only to online databases and library catalogues. Perhaps my greatest disappointment came in the leadership rubric. Much to my dismay, I found that even though I was very good at organising people for specific goals’ achieving, I am lacking for motivating them, and coping with uncooperative individuals. What is most disheartening for me is that I am terrible at giving other people feedback. In fact, I seldom give feedbacks to my peers. As a consequence, this has been a problem in my creative writing group, because I feel somewhat intimidated when it comes to pointing out other people’s mistakes. This is something I must improve. Teamwork presented no surprise. I have always been a team player, and naturally, this came out during my assessment. Good managers need to be team players; they also need to be approachable and, if it is needed, flexible. Good leadership requires understanding and flexibility. If a person gets ill, held up in traffic, or is simply swamped with other commitments, it is possible to rearrange and modify deadlines. I don’t have problems with this, if it is discussed sufficiently in advance. My problem solving skills are good. I define myself as a pragmatist, and the truth is that I can come up with practical, rapid, economical, and effective solutions to problems. However, I am not good materializing those proposed solutions. I am good at planning and monitoring, although not so good at executing. However, I have improved my skills. Preparing this portfolio, I set out a work timetable with deliverables, and for some reason, I managed to start two hours late. Fortunately, I did manage to pull through because I worked really fast. Finally, reflecting on my numeracy and good general education, there was no surprise either. I have always been good with numbers, as I am mostly logical (and pragmatic). Therefore, I understand that education is an on-going process and that one never truly seizes to learn. Having completed my reflection, I am a step closer to achieving my goal of becoming a world-class manager. I have a better sense of my weaknesses and my strengths. Taking into account my future, I believe that I will continue with the Skills Tracker exercise and definitely start a journal, where I can keep it updated (Gallagher, 2010). All things considered, I will direct my efforts to developing all my skills towards the field of financial management, since I recognize that “knowledge in financial management plays a significant role in managers’ advancement and careers” (Kay & Moncarz, 2004, p. 287). Requisites must have changed in the course of time, but what is true about management, as well as about life and industry, is that finance keeps the world moving. Analoui, F 1995, ‘Management skills and senior management effectiveness', The International Journal of Public Sector Management, vol. 8, no. 3, pp. 52-68. Campbell, S, Callister, R & Wallace, R 2003, ‘Undergraduate management skills courses and students' emotional intelligence’, Journal of Management Education, vol. 27, no. 1, pp. 3-23. Gallagher, K 2010, Skills development for business and management students, Oxford University Press, Oxford. Kay, C & Moncarz, E 2004, ‘Knowledge, skills, and abilities for lodging management success’, Cornell Hotel and Restaurant Administration Quarterly, vol. 45, no. 3, pp. 285-298. Khan, A & Ahmad, W 2012, ‘Leader's interpersonal skills and its effectiveness at different levels of management’, International Journal of Business and Social Science, vol. 3, no. 4, pp. 290-299.